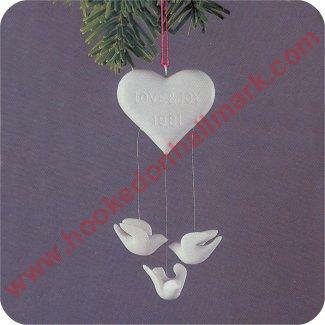 Three white doves are suspended from a white porcelain heart tied in red fabric ribbon. A beautiful ornament. Love & Peace, Christmas!! !